The Rev. 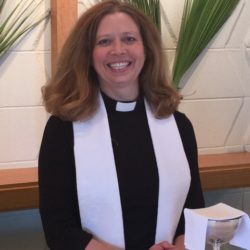 Christine Conkin has served in 3 Calgary parishes, including becoming rector of St. Andrew’s in 2014. She was ordained in 2006 after completing an Mdiv at Vancouver School of Theology and completed a Master of Theology in bible in 2013. Her interest in the transformation of the church today, in both belief and practice, is informed by her biblical work about how the ancient Israelites transformed into the Jewish community. Christine’s spiritual life is grounded in dance and the many outdoor activities she loves.